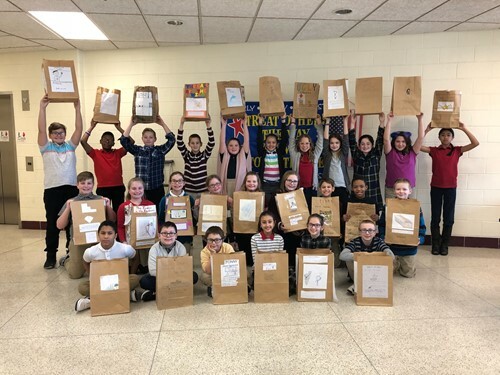 Ms. Giovannini's fifth grade class at Solomon- Plains Elementary completed a fun reading assignment. After reading a fiction book, each child designed a book report on a paper bag. Each bag contained five items that symbolized an element of the story. The students enjoyed presenting their reports to the class.